Our shop this week, Tatiana Rene Photography, has two things that I know we all love here at Joy De Vivre: a beautiful shop and a great cause! Tatiana's shop is filled with an eclectic mix of her photography. Her passion for photography grew while living in Hawaii and one can understand why with its beautiful natural surroundings. Now, not only does Tatiana find beauty in the classic sense of the word, she also finds it in the grittiness of the city, in a mysterious staircase, parts of a car. Her photography portrays each of her subjects in a way that you may not have thought of before. When you purchase a photo from Tatiana Rene Photography, which you will certainly want to do after seeing her work, 10% of every sale will go to a charity of your choice by just following the instructions on her shop announcement. 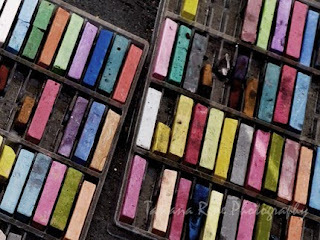 Colored chalk at the Chalk Art Festival in Denver shows that even concrete streets can get a vivid makeover. Doesn't this make you long for summer days of playing outside? As with all of Tatiana's prints the watermark will not be on them when you receive them. 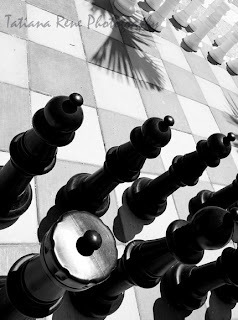 Tatiana found this human-sized chess board in Myrtle Beach, South Carolina. The palm leaf shadowed in the photo is a great touch that brings in that sense of the beach. 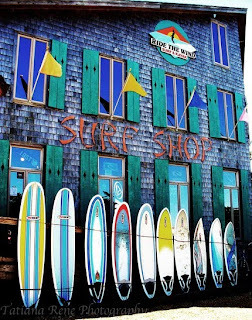 Resting on the Outer Banks of the East Coast is this colorful surf shop. Can't you just smell the coconut tan oil now? 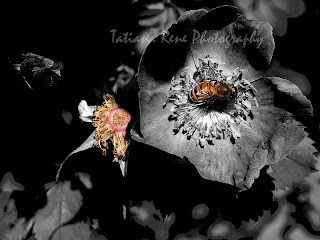 For our weekly prize this week we are going to get you started in your collection of Tatiana Rene's photography. If you are the weekly winner you will win this gorgeous example of Tatiana's nature photography in this postcard. 1. Check out Tatiana Rene Photography. Come back here and leave a comment about your favorite photo. 2. Be or become a follower of this blog and you will get a second entry. If you are in the Denver area you can also purchase Tatiana's work in West Wash Park at On A Lark Gifts. Tatiana is one of my very best friends and her gorgeous artwork covers my entire condo. Anytime anyone comes over I get tons of compliments...but of course it's all Tat. It wouldn't matter if I were to hang them upside down and crooked, her photographs would still be amazing. Every single one of her prints are absolutely stunning. The ability she has to see such beauty in random things astounds me everytime I look at my walls. Thanks for recognizing what an awesome artist she is. And thanks everyone else for supporting my good buddy by purchasing some of her work! You could literally close your eyes and point and end up with something amazing everytime. I promise you won't be disappointed! These pictures are beautiful. I like them all especially the Autumn in Vail and the One Nation. Amy, I don't blame you for bragging about your friend. Amy-nothing to be sorry about! You should be a proud friend as Tatiana's work is beautiful!